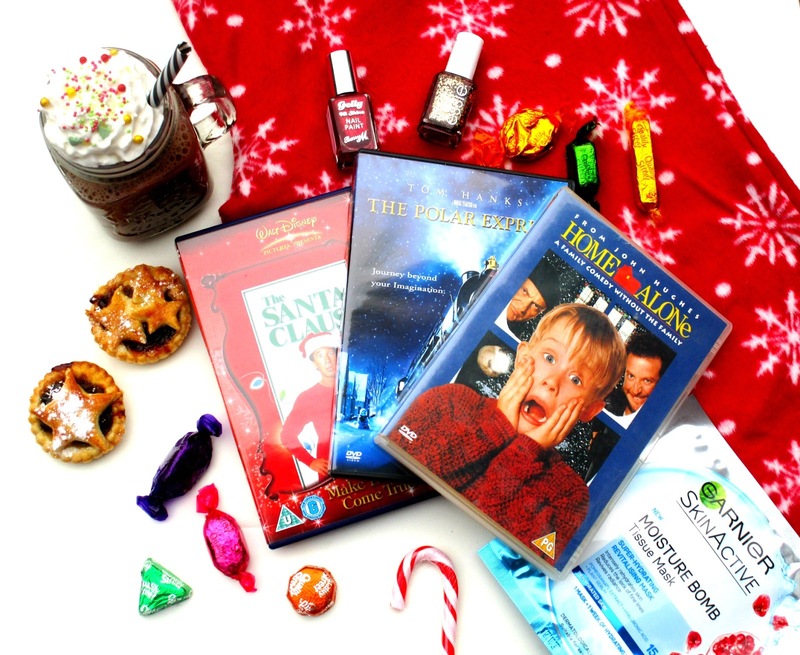 And welcome to blogmas day twelve... Now I love a cosy night in, me and my boyfriend do this pretty much all the time but during the festive season I feel things get even more cosy and obviously super Christmassy so I thought I'd share with you all everything I like to do on a Christmas night in. Firstly Christmas pyjamas are a must, I love the thick cosy ones from Primark, their so snugly and soft, then I put on as many fairy lights and candles as possible to make the house feel all warm and snug. No Christmas night in would be complete without Christmas films and yummy treats, my personal favourites right now are Home Alone, Santa Clause and The Polar Express and for treats -it doesn't get much more Christmassy than homemade mince pies and cracking open a tin of Quality Street accompanied by a big hot chocolate with loads of cream and sprinkles he he. Something I LOVE to do during a cosy night in is give myself a little pamper sesh by painting my nails and popping on a face mask, I've been obsessed with the Garnier Moisture Bomb Tissue Mask recently, in fact I've been buying them in bulk because I love them so much. Their just so good for this time of the year because they are drenched in serum which puts the moisture back in that this cold weather takes out, their amazing! Ohhh writing up this post is definitely making me want to have a Christmas night in again tonight he he. Do you have Christmassy themed nights in beaut's? I'd love to know!